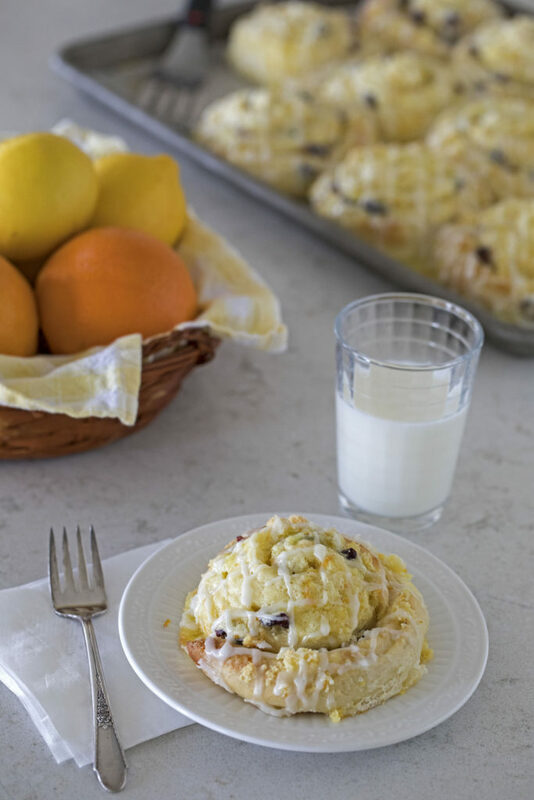 These Cranberry Citrus Cream Cheese Sweet Rolls start with a rich, buttery yeast roll dough that’s filled with citrus sugar and tart cranberries, then topped with a creamy orange cream cheese topping. Topping the rolls with more citrus sugar before baking gives the rolls a sweet crunchy top. The finishing touch is a tart lemon glaze drizzled on top before serving. They’re so good you’ll want to lick the plate clean. 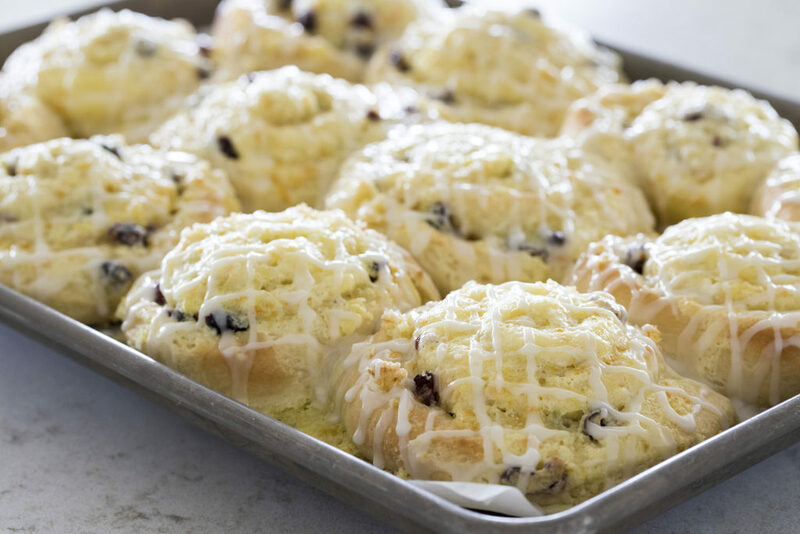 My family is in love with these Cranberry Citrus Cream Cheese Sweet Rolls. They’ve got a little bit of something for everyone to love. They’re sweet and tart, messy, and soft and crunchy in every bite. And they’re fun to make. I used Red Star Platinum Superior Baking Yeast to make the rolls so they’d rise big and fluffy, and really quickly, but you could also use Red Star Quick Rise Yeast or Red Star Active Dry Yeast with great results. Making the dough in a stand mixer takes most of the work out of making roll dough. So your hands-on time isn’t very long. Most of the time making the rolls is waiting for the dough to rise. Then, once the dough has risen and you’ve punched it down, you’re ready to roll it out and shape the sweet rolls. I like to roll out my dough on a silicone pastry mat but you could use a floured counter. 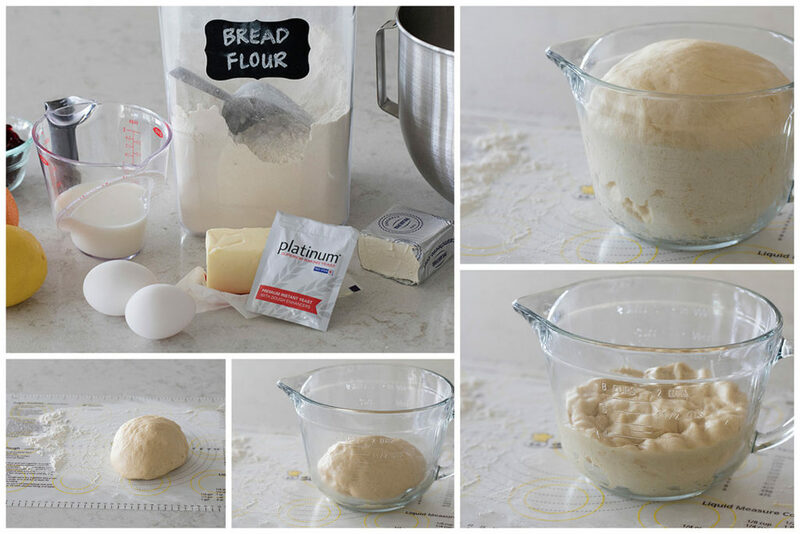 If your butter is room temperature, it’s easy to spread evenly on the dough. You can use a bench scraper or your fingers to spread the butter; whichever way you find is easier. Once you’ve spread the butter, sprinkle the citrus sugar evenly on top of the butter, and then top it with the dried cranberries. Turn up the bottom edge along the long edge and roll the dough up. Leave about 1 inch without sugar on the end so you can pull it to the top and pinch it closed. 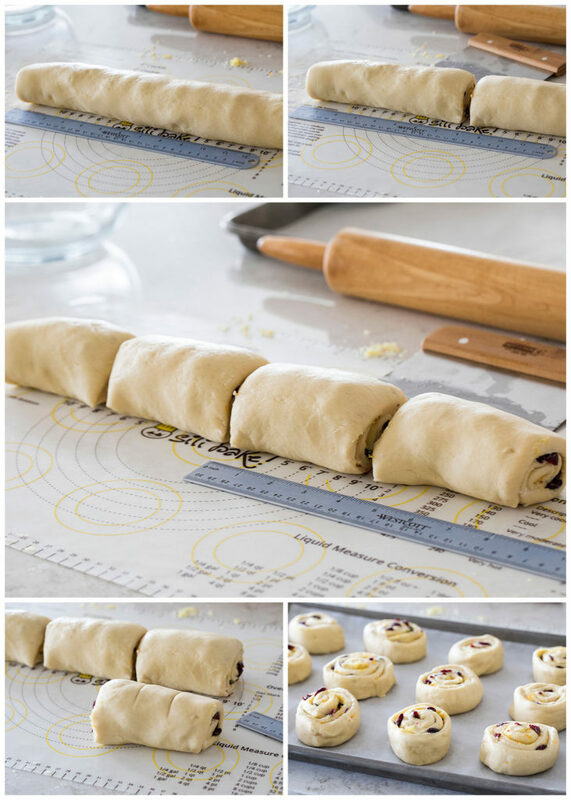 When your dough is rolled up, you need to cut it into 12 rolls. To get more even rolls I like to use a ruler. Then I cut the dough in half, cut each half in half so you have four equal pieces. Then cut each quarter into three sweet rolls. 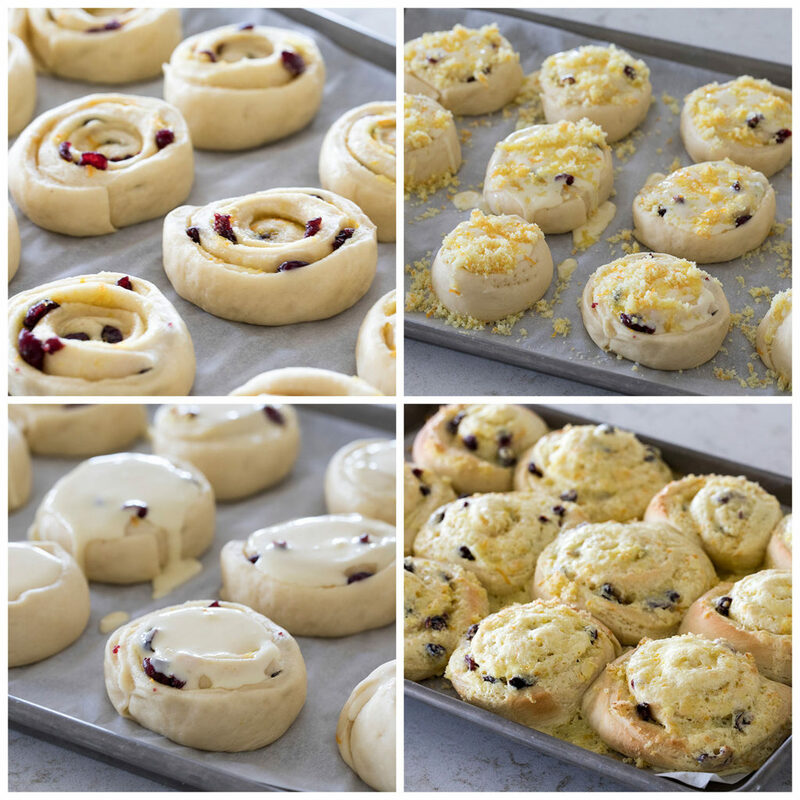 Place each sweet roll on a baking sheet lined with parchment paper or a silicone mat. Cover the tray loosely with plastic wrap and let the rolls rise until they’re about double in size. If you don’t have parchment paper, you could use tin foil. These rolls are pretty messy, so you’ll want something under them as they bake for easy clean up. After the rolls have risen, gently push the center down to create a small well. I used a tamper tool, but a small glass or your fingers would work as well. Then pour the cream cheese topping in the well and over the top of the roll. Once you’ve added the cream cheese topping, sprinkle the tops with the remaining citrus sugar. The sugar crisps as it bakes and adds a wonderful crunchy topping to the rolls in addition to a sweet citrus flavor. Then put the rolls in the oven and wait for them to rise up and turn golden brown on the edges. They smell amazing as they’re baking. Once the rolls have cooled for a few minutes, you’ll finish them with a drizzle of lemon glaze. The glaze adds a tart burst of flavor to the rolls. And it makes them prettier, too. Usually I’ll put the glaze in a small Ziploc bag and snip the corner off and drizzle the icing on the rolls. That way I get a prettier drizzle on the rolls. But you could just use a spoon to drizzle the glaze. Either way your family is going to go crazy for these rolls. I know mine did. 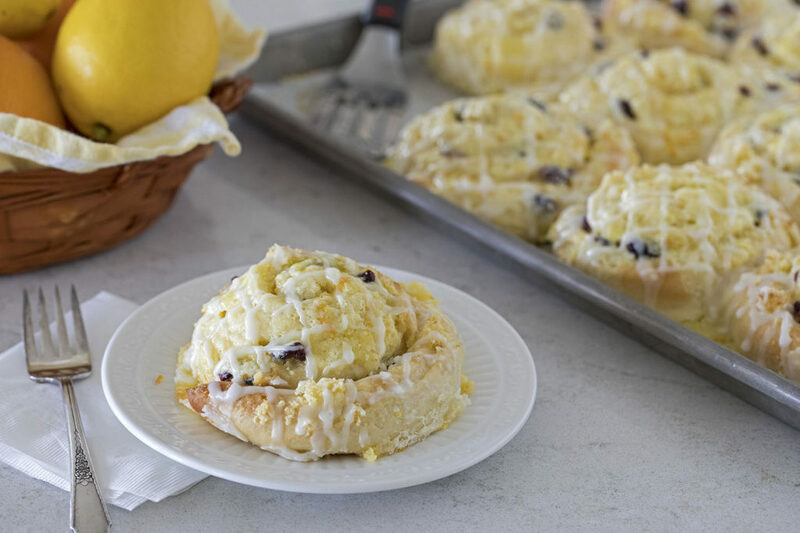 A rich, buttery yeast roll dough that’s filled with a fragrant citrus sugar and tart cranberries, then topped with a creamy orange cream cheese topping and more citrus sugar that gives the rolls a sweet crunchy topping; then they’re finished with a tart lemon glaze drizzled on top. In saucepan or microwave safe dish, heat milk and butter until warm (120° – 130°F). Punch down the dough and let it rest 5 minutes. 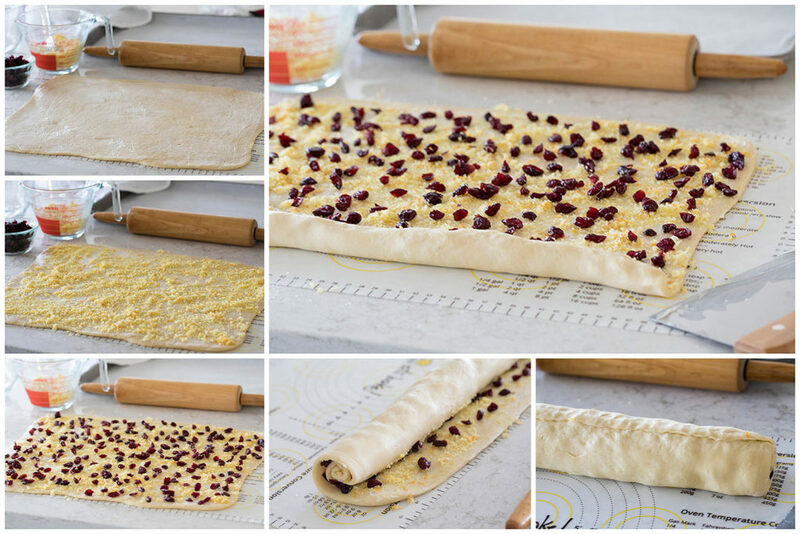 On a lightly floured surface, roll the dough into a 16x12-inch rectangle. Spread 2 tablespoons butter evenly over the dough with a rubber spatula or your fingers. Sprinkle ½ cup of the citrus sugar evenly over the butter. Sprinkle cranberries evenly over the sugar. Starting with the long end, roll the dough into a log, and cut it into 12 slices. Place each piece, cut edges up, 1 inch apart on a parchment lined baking sheet. Cover with plastic wrap and let rise until double, about 30 minutes. 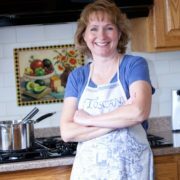 Make Cream Cheese Topping: Combine cream cheese, sugar, orange juice, and egg yolk; beat at medium speed of a mixer until well-blended. Make a slight indentation in the center of each sweet roll. Fill the center of each roll with cream cheese topping. Sprinkle remaining citrus sugar over the tops of the sweet rolls. Bake about 20 minutes until golden brown. Transfer to a wire rack and let cool on the pan for 10 to 15 minutes. Prepare glaze: Combine powdered sugar and lemon juice. Drizzle over rolls.